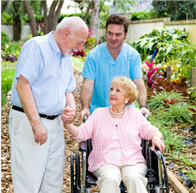 One person may never have the need for long term nursing care. Another person could need it at any age. An important factor is to plan for the future, not when it is imminent. When the individual is still independent is the time to do research on the best possible nursing home facility. Time and careful research will determine the best possible fit between the person and the nursing home.